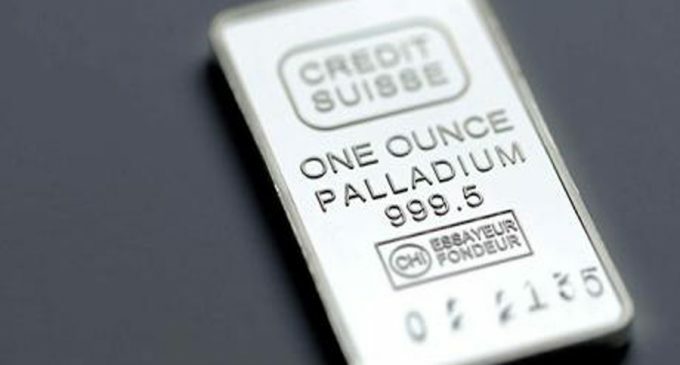 Palladium has risen to record prices due to anticipated supply problems. Now it is more expensive than gold. The last time a similar pattern was observed on the market 17 years ago, in 2002. The contracts for the supply in March have grown by 2.3% to $ 1,348 per ounce of the precious metal. Since the second half of last year, the metal price has grown by about half. The gold contracts with the delivery in February have slipped by 0.1% to $ 1,292 per ounce of the precious metal. Since the fall of 2018, the price of palladium has set new highs. The last such record was recorded by the market in 2001. The metal is used in exhaust systems of cars. Its cost was growing due to the expectations that the customers would buy such cars instead of diesel ones. Another reason for the growth rate was the premise for reducing the supply from the main producing countries. Analysts believe that the deficit will continue this year and, probably, this is not the last record of the palladium price, which will be recorded.